A long-ago television commercial featured a laurel-browed goddess calling down a thunderbolt while intoning, “It’s not nice to fool with Mother Nature.” Powered by Gulf of Mexico waters that were 85 degrees (F.) off South Padre Island, Hurricane Harvey dropped 42 to 61 inches of rain on Southeast Texas and nearby Louisiana and triggered flash flooding in parts of Arkansas, Tennessee, and Kentucky. Over six days, the monster storm dropped an estimated 27 trillion gallons of rain along its path. The economic impact has been estimated at between $75 billion and $111 billion. For perspective, Superstorm Sandy (2012) triggered costs of $70 billion and Hurricane Katrina cost $160 billion (both in inflation-adjusted dollars). The lessons of those prior storms indicated that recovery is a matter of years, not weeks or months. Rebuilding efforts in the South Central states will likely be pushing up construction labor demand, in the face of an already tight squeeze on the supply of such workers. That shortage is echoed elsewhere in the region, as employers find it difficult to hire at virtually all skill levels. Eleven of the 20 states in the Central region have unemployment rates less than 4.0 percent. 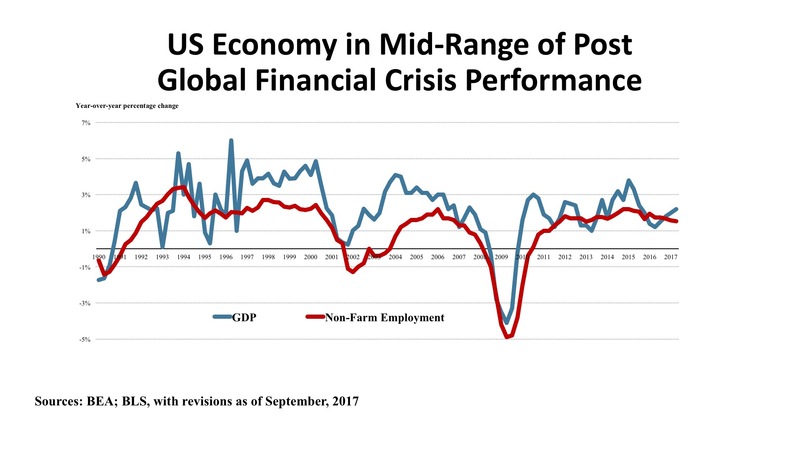 Naturally, wage growth is ticking upward and is likely to continue on that path as workers gain more leverage. Interestingly, so-called “Rust Belt” states like Michigan, Indiana, and Wisconsin are included on the list of tight labor markets. The Central region boasts some of the most affordable housing markets in the nation, certainly far less expensive than the major coastal cities. Homebuilding is proceeding at a moderate pace, though, as construction financing (as well the labor shortage) is braking development despite low-cost home financing. It is expected that storm-ravaged areas in the South will see an uptick in building as disaster-relief funds find there was to the region. Stabilizing energy prices are helping many of the Central states, as shale and natural gas fields return to higher levels of activity. 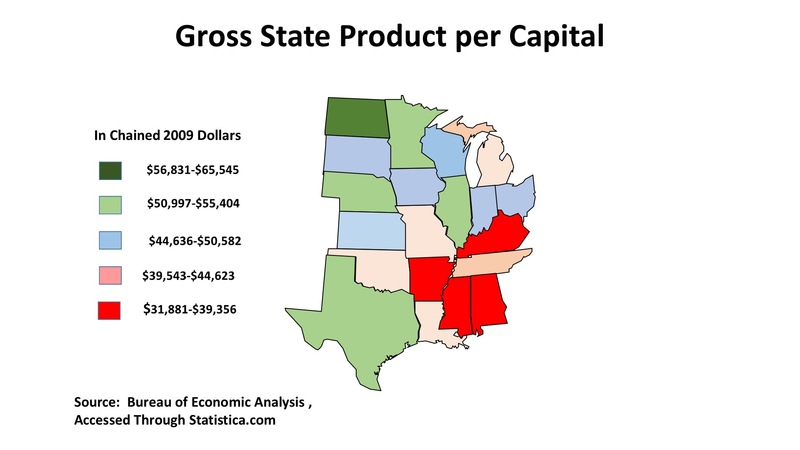 Comparatively few states in this region post higher-than-average GDP per capita – notably North Dakota’s energy fields, and the more diversified economies of Texas, Illinois, and Minnesota. The agricultural states, with the exception of Nebraska, have GDP per capita figures below the U.S. average of $50,577 (2016 figures). This economic measure is a key indicator for real estate values, as it is productivity (output per worker) that generates rent potential for residential and commercial properties. With total real estate transaction volume of $65.3 billion, or 29.7 percent of the US total during the First Half of 2017, the Central region ranked second to the Atlantic Seaboard, edging out the Western Region for the period. 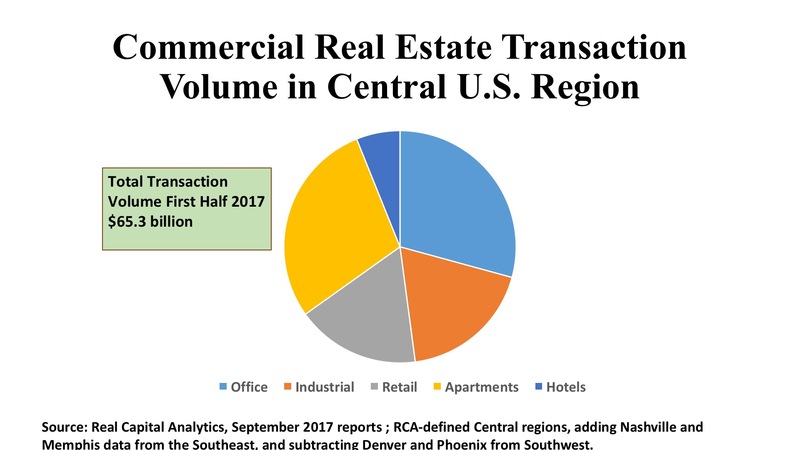 The Central states were particularly strong in the multifamily sector with $25.9 billion in investment, or a 36.2 percent share for this property type. But the area also punched above its weight in the industrial sector, where $10.4 billion in purchases were 33.6 percent of the national total. Interestingly, the economy of the upper Midwest – both the industrial states and the breadbaskets states – are providing the more solid base in gross state product per capita, with Texas’ very large population and diverse industry mix helping support its property markets. Office. Houston and Dallas topped the Central states in office investment during the first six months of 2017, with Houston exceeding $2 billion in transactions and Dallas approaching $2.5 billion. At least in part, capital was attracted by above-average cap rates of nearly 7 percent, well above the yields available in the large cities of the East and West coasts. Chicago also saw more than $1.2 billion in office deals, with an average cap rate of 7.4 percent – a yield that was typical of other large Midwest cities. International investors are becoming more active in secondary markets such as Columbus and Cincinnati, while domestic institutions and private investors are devoting attention to Texas and the smaller metros of the South Central area. Industrial. The Central states are naturally well-positioned for distribution facilities, and both Chicago and Dallas constitute major hubs of warehousing activity. Dallas was the location of 152 industrial property sales transactions in the First Half of 2017, with volume totaling more than $1.6 billion. Chicago, meanwhile, generated 155 transactions worth $1.5 billion. 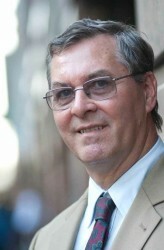 Cap rates averaged 7.3 percent in both metros, giving investors high initial yields and the prospect of steady returns. Institutional investors played a prominent role in both markets. Houston presents a similar profile, albeit at a lesser volume ($863 million during the First Half) – and the repair and recovery period following Hurricane Harvey is likely to keep volume in southeast Texas limited for a while. Elsewhere, smaller private investors are the majority of buyers, both in the secondary metro markets and in the third-tier locations which, in total, show more than 900 individual sales amounting to another two billion dollars of acquisitions. Retail. This region tallied $9.5 billion in shopping property sales, 27.5 percent of total U.S. retail sales volume. The relatively low level of GDP per capita suggests why consumer spending is less than robust across much of the region. Of all the major cities, only Chicago saw retail property transactions rise above $1 billion, with 130 deals generating $1.5 billion. Dallas came in second, with 107 purchases amounting to $930 million in aggregate price. Retail cap rates average between the mid-six percent level for Chicago, Dallas, and Austin, to around seven percent for Minneapolis, San Antonio, and Houston, and rise to eight percent for the Ohio cities such as Cleveland and Columbus. Private investors are far and away the most common buyer type, contrasted with the concentration of REIT buyers in the Eastern region.